This Chris Olofson 29 Knives balisong features a 4" deep swept bowie style blade made from CPM-S30V stainless steel with standard ears. It's outfitted with stainless steel deluxe skeleton handles, hidden pins, and a batangas latch. 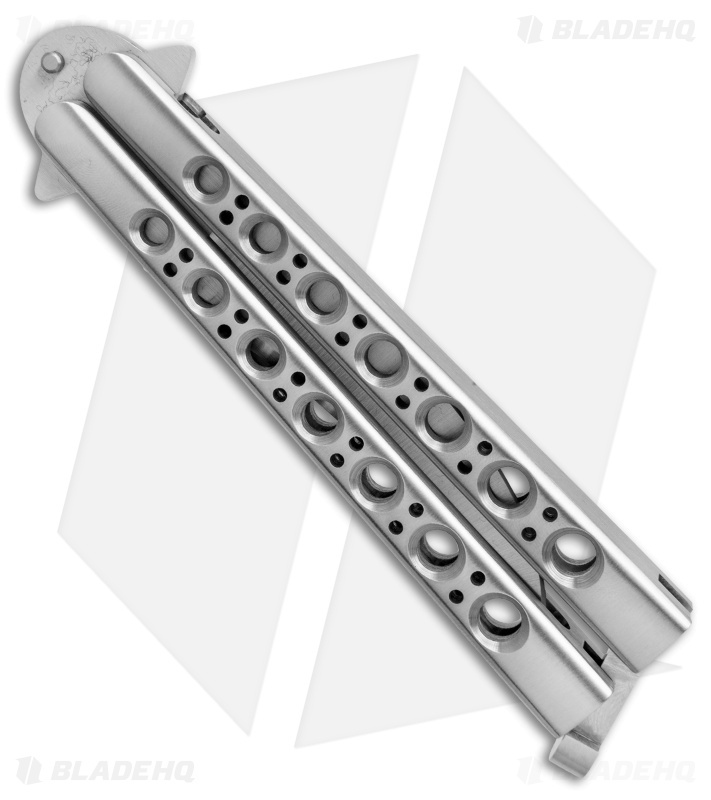 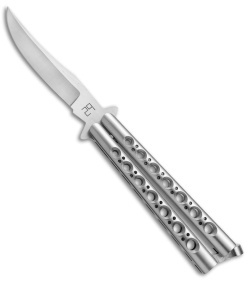 This butterfly knife offers top quality materials and an impressive overall build.